An obnoxious 4-year old cries as he stands online with his mom at a supermarket. He begins punching his mother, biting his fingers, and screams at the top of his lungs that he wants to go home. Of course, any observer would claim that the child is plausibly spoiled or that his mother doesn’t give him enough discipline, but as child psychologists delve into the onset of mood disorders, perhaps placing blame on parents and children for bad behavior strays away from causation. Depression is a mood disorder that debilitates emotions associated with happiness and energy; typically, the disorder causes someone to experience anguish, detachment, hopelessness, and even suicidal ideation. Although the disorder can interfere with daily functioning for some, nearly 16.1 million people a sixth of the population in the USA, suffer from depression. The National Institute of Mental Health cites “depression is the leading cause of disability in the United States among people ages 15-44 “; therefore, the severity of the disorder, along with its effects, is dependent upon the social roles and responsibilities one has at the onset of the illness. Despite being the leading mental health issue in the country, new questions are starting to be raised about depression. Firstly, psychiatrists are beginning to question how young is too young to diagnose, however, the most compelling of questions is: how can psychology draw a distinction between a kid having a bad day and childhood depression? According to clinical psychologist Ellen McGinnis at Vermont University, very little research was provided for childhood depression as experts in the field claimed that a child’s irritability and low mood were caused by the incipience of ADHD (attention deficit hyperactive disorder)/ ADD (attention deficit disorder). Everything was changed once Ellen McGinnis ambitiously decided to conduct an independent case study for Vermont University. In her study, McGinnis recruited 63 children ranging from the age of 3-8 years old to test their level of anxiety while confronting external threats. For the experiment, researchers placed a motion sensor on the children’s wrist to monitor their body movement. The stimuli of choice for the experiment was a plastic snake. Why? McGinnis asserted that children are naturally drawn to animals and lack a sense of danger when they are around them as they are still too young to distinguish trust vs. mistrust. However, studies have found that people suffering from depression have a heightened sense of mistrust in others which is attributed to their emotional detachment — the amygdala, a part of the brain that controls fear, becomes hyperactive. As a result, the children in the experiment received warnings about opening a box which revealed the plastic snake. Researchers monitored the children’s motor responses to warnings such as “Don’t you dare touch open that box” and “It’s dangerous”, then the researcher opened the box himself to monitor the children’s’ reactions. After the experiment, an algorithm measured the children’s stress level before and after the ‘anticipatory phase’. The studies revealed that 11 out of the 63 participants exhibited no difference in body movement before and after being exposed to the plastic snake. McGinnis suggested that her findings enabled future childhood psychologists to analyze the role of fear in children with depression. So, how prominent is childhood depression? 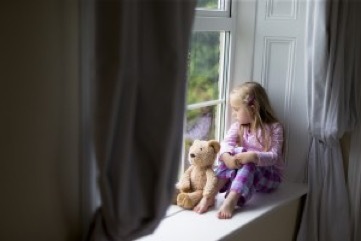 Vermont University reported that the statistics surrounding depression in children are increasing unsteadily; 1.8. million children (2.5%) in the US suffer from the depression and very often, these children go undiagnosed and untreated for lengthy periods of time, for those that do receive a diagnosis, prescriptions of anti-depressants have also raised concern as many parents and even psychiatrists have become skeptical. According to the FDA, Prozac and Lexapro have been approved for children above the age of 8. Yet, research has yet to examine the potential adverse effects on children taking the drugs. With this lack of transparency, the anti-psychiatry movement is only pushing to assert that childhood diagnoses are a hoax, however; the spike of childhood suicide rates might prove otherwise. In 2018, CNN reported that a child under the age of thirteen commits suicide once every 5 days. These findings only affirm the need for society to reevaluate their understanding of mental illness, to save the lives of those who suffer from it rather than deny that their voices matter.